Mahatma Gandhi as we know was the best politician the world has ever had. Politics is the art of gaining what you want even when you are weak… But why call Gandhi as Mahatma I have not understood that, Because as far as I know or as history tells us neither his actions nor his character were impeccable. He did have a few skeletons in his cupboard too. With each change in political scenario in the country the facts and slogans and Tamasha changes.. according to the will and wimp of the political parties ideology. Some feel offended that Gandhi is blamed, but Gandhi was not perfect, so what’s the harm in blaming Gandhi, he did make quiet a few mistakes, who doesn’t, So what’s wrong in blaming him, after all don’t we hear it that we Should be responsible for our actions. Gandhi no doubt was a very good manipulator, a Politician par excellence.. I don’t deny that, But what I am against is giving a man so much importance when there are others who are equally deserving or MORE. So if they don’t get what they deserve then why is one man singled out for all this respect, If he said that youth like Sardar Bhagat Singh are damaging the image of the nation, then So did he. March 23 came and went it was the 75th anniversary of the martyrdom of Shaheed Sardar Bhagat Singh. The reason I am mentioning him is that in those turbulent times.. It was HE who was as popular as Gandhi, I will say More than him, that is why the conspiracy theory that Gandhi did not do his best to save him from the gallows. I myself feel that it has become a mockery with the way history has been changed, manipulated on what Bhagat Singh and many others did , How it helped the bringing of Independence. It is not correct to compare the paths of Bhagat Singh and Gandhi, even when the goal was same.. The likes of Sardar Bhagat Singh, Chandrasekhar Azad, Rajguru ,SukhDev,Udham Singh and Plenty more whom history has forgotten, who embraced death in their early age, they were all Jewels of OUR country conveniently forgotten by History Manipulators. Because of political changes history has been so badly manipulated that we still think it was only the indiscipline or non-cooperation movements started by Gandhi that helped in Independence, this is religiously followed in all walks of life in India even to this day. WE forget that Today the same Congress , and the KHADI wearing people , The so-called people who are following Gandhi principles are the worst enemies we have… and These are the very people the young fire brand freedom fighters cautioned us about.. But we the people have not learned anything, I doubt if we will Learn too. I am sure EVEN GANDHI himself will be ashamed of the ways our politicians are behaving today, but then Gandhi himself was a Politician par excellence. PS:- The spelling in the title are wrong I know .. WHAT Independence!!!! Let me start this post with a question , How many Indians Know about this day , the 12th Day of September 1897, I know its been a long long time. I was on a Interactive trip to France (I cant go into details due to some reason), We were a contingent of about 18 Indians , who were BORN in India but immigrated to UK, out of the 18 Indians 6 were Sikhs, during one of the interactive seminars a question was raised by a member of public if We knew about this day, I am not trying to show off or anything here But I did know about this, the reason being I genuinely have interest in Sikh history (Although this day was not just about sikhs, it is about India then). Out of the 18 only two of us knew the significance of the day which was indeed very shameful. I also only know bits and pieces from what I have read ages ago, So i thought to have another read and share with everyone. This is something that we as a nation should be proud of. Such were the people in those olden days, I do wish we have them back, hopefully our nation can become as great as it CAN BE. In the North West Frontier Province which was part of British India, On this day 21 Sikh soldiers made a decision that ended up in the ultimate sacrifice and Bravery a Human being can give. These 21 Sikhs from The 36th Sikhs Batallion(now the 4th Battalion of the Sikh Regiment) fought till the last against a 10,000 to 12000 strong Enemy. To go back in history and from Wikipedia it is learnt that Saragarhi, itself, was basically a small fort with a signalling tower that enabled communications between Fort Lockhart and Fort Gulistan, It had one Non-Commissioned Officer (NCO) and twenty troops of Other Ranks (ORs) to protect it and Because of the nature of the place it was very important for the Afghans and its ally’s to capture this place so as to disrupt communication between the two forts. Saragarhi being a communication link was also a benefit for us now, because the entire battle was broadcast in real time by its signal man, Sepoy Gurmukh Singh, Hence why we today know what exactly happened or have a fairly accurate account of the proceedings. Fort Lockhart transmitted back: “UNABLE TO BREAKTHROUGH…HOLD POSITION“. It was a grim situation but the leader of the small Contingent Havildar Ishar Singh called upon his men to make a decision, the Sikhs unanimously agreed to hold the position. Saragarhi flashed back: “UNDERSTOOD“. Undeterred, the Sikh soldiers committed to fighting to the last to prevent the encroaching enemy from reaching the other forts. 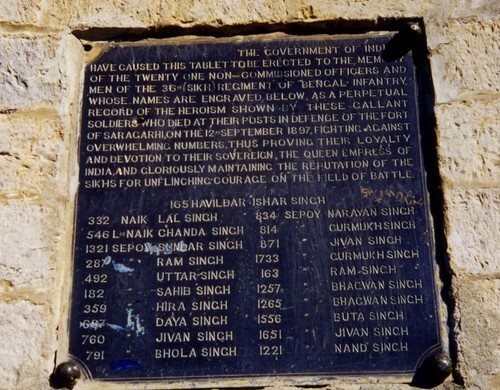 At 1400 hrs, Sepoy Gurmukh Singh signalled “LOW ON AMMO…NEED AMMO…URGENTLY“. Lt Col Haughton attempted to send his personal orderly to try and pass the ammunition to the trapped Sikhs, but again to no avail. The enemy set fire to the bushes and scrubs around Fort Saragarhi. Clouds of smoke blanketed the fort, making it impossible for the Sikhs to see the enemy. Soldiers at Fort Lockhart could clearly see the approach of the tribesmen due to their elevated position above Saragarhi. Lt Col Haughton frantically signaled Saragarhi: “ENEMY APPROACHING…THE BREACH“. Havildar Sardar Ishar Singh was severely injured by this time and ordered the remaining Sikhs to fall back into the inner wall and ordered two Sepoys to drag him towards the breach to buy some time for his men. Out of ammunition all three of them fixed their bayonets charged the enemy, the wall was breached only five Sikhs remained alive. Four in the inner building and Sepoy Gurmukh Singh at the signalling tower. The Sikhs did not give up. Instead they formed an all-round defensive position with their backs against each other and their bayonets pointing outwards fought hand to hand inside the fort. At 1530 hrs Sepoy Gurmukh Singh, transmitted: “MAIN GATE BREACHED…DOWN TO ONE…REQUEST PERMISSION TO DISMOUNT AND JOIN THE FIGHT“. Orders came back: “PERMISSION GRANTED“. Sepoy Gurmukh Singh disassembled his heliograph device, picked up his rifle and came down the signalling tower to join the fight. Soldiers at Fort Lockhart saw him disappear into the thick of battle right into the enemy line. It is Said that The enemy did not want to lose more men in hand to hand fighting , so to avoid getting more of their men killed by a Single Valiant soldier, they set fire to the tower. Sardar Gurmukh Singh perished in the flames shouting at top of his voice repeatedly the Sikh battle-cry “Bole So Nihal, Sat Sri Akal” (Shout Aloud in Ecstasy! True is the Great Timeless One). “Akal,” meaning Immortal, beyond death, the Supreme Creator God unbound by time and non-temporal. Sardar Gurmukh Singh, the youngest of the Sikhs at 19 years old was credited to have taken down 20 tribesmen single-handedly before succumbing. He was the last to fall at Saragarhi. This battle is now part of Study in French Schools, Till I was a student in India this historic battle was never a part of our curriculum, which is quiet shameful actually. Although around year 2000 the Punjab Govt was said to be doing something about it BUT how much they have succeeded I have no clue. 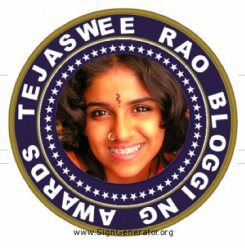 Maybe Someone reading this post from India can tell me ? The above has been compiled using various sources. 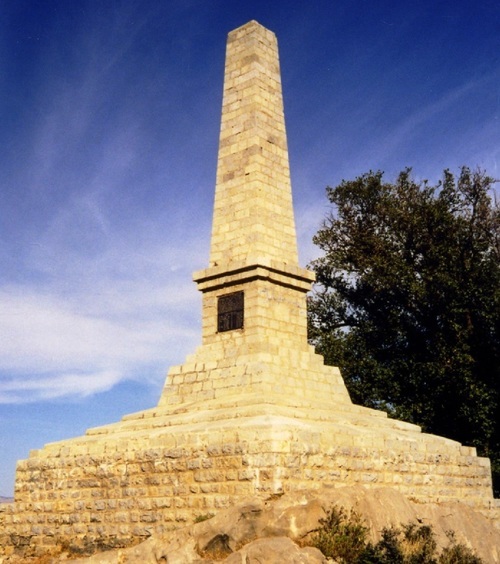 The Saragarhi Monument, Samana Ridge, NWFP, Pakistan. News of the event shot around the world in this Australian newspaper.